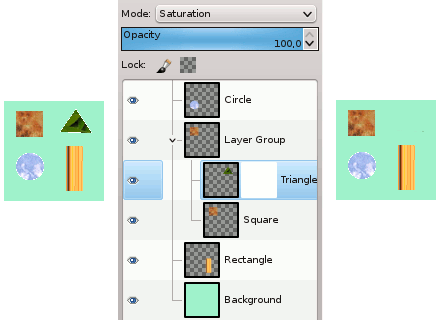 This possibility appeared with GIMP-2.8. 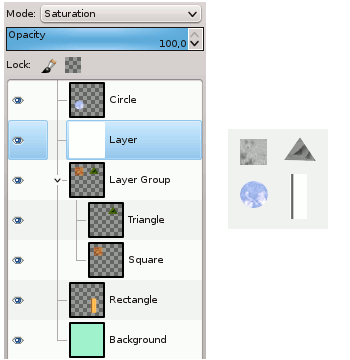 When a layer group is not empty, a small “>” icon appears. By clicking on it, you can fold/unfold the layer list. 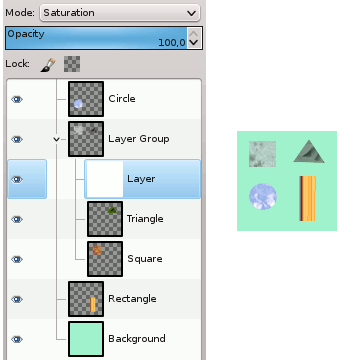 When a layer group is activated, you can add another group inside it with the “Add New Layer Group” command. There seems to be no limit, excepted memory, to the number of embedded layer groups.